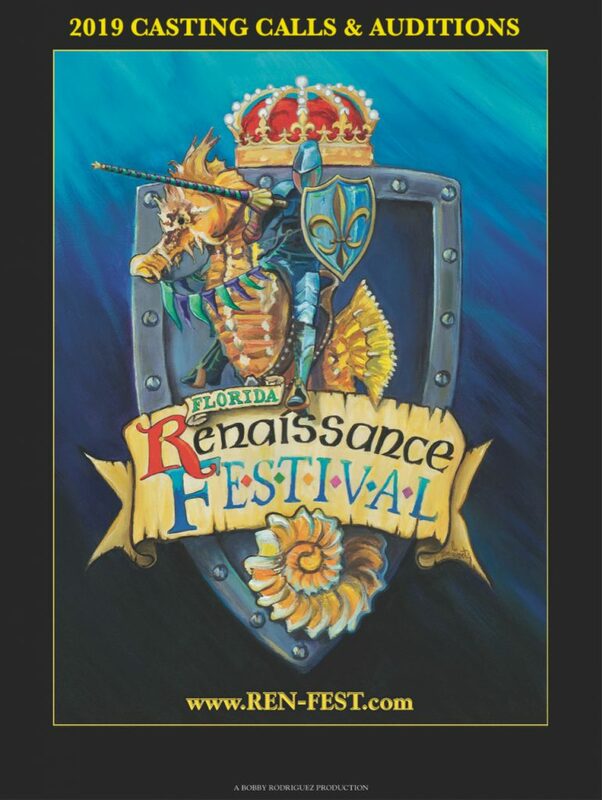 WHAT: Casting Calls and Auditions seeking Enthusiastic Performers for the Florida Renaissance Festival’s 27th Anniversary Season! Please prepare a one to two-minute Classical Monologue and a one to two-minute contrasting Contemporary Monologue or 32 bars of a Classical or Contemporary-styled song to sing acapella. Be prepared for some Improvisational Exercises and Readings as well. Actors must have weekend availability and flexible schedules. Only actors 16 or older will be considered without a parent accompanying them. WHEN: (1.) Friday: November 30th ~ 12 p.m. to 6 p.m. (2.) Saturday: December 1st ~ 10 a.m. to 4 p.m.
Walk-ins are discouraged, but will be seen if time allows. Betty will contact you to confirm your appointment. Come be part of our Glorious 27th Anniversary Season! Huzzah!